The Diaspora Learning Network - Diaspora Action Australia | Peace. Development. Human rights. The Diaspora Learning Network (DLN) is a network of research institutions, civil society and non-government organisations (NGOs) created in 2016. It actively advances learning and multi-sector dialogue on the role and contribution of diasporas to peace, development, humanitarian action and human rights. Through building a body of knowledge around effective diaspora engagement and strengthened linkages with diaspora organisations, the DLN aims to grow as a key facilitator for better collaborations between diasporas and other sectors. The DLN was established as the convening body for the first-ever Australian conference focusing on the role and contributions of diaspora communities in peacebuilding, development and humanitarian response. Held in September 2016 and sponsored by the Department of Foreign Affairs and Trade, the Diasporas in Action: working together for peace, development and humanitarian response conference was attended by over 160 people from diaspora communities, government, international NGOs, universities and others. As a result of the success of this first conference, and momentum amongst DLN members (and a growing group of potential new members) to build on conference discussions and outcomes, the DLN was formalised on an ongoing basis, with the aims of further strengthening learning and facilitating more effective dialogue between diasporas and other stakeholders. Become a DLN member – it’s free! The DLN actively promotes collaboration and learning on the role of diasporas in peace, development and humanitarian response. 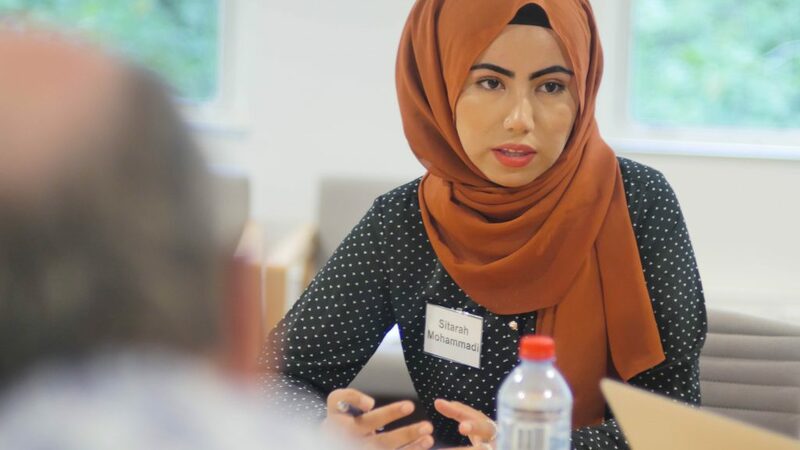 Advancing a dynamic, cross-sectorial conversation that began at the inaugural conference of the same name in 2016, the Diaspora Action Australia’s Diaspora Learning Network convened the second conference in September 2018. It featured the experiences and expertise of diaspora communities from all around the world and from those who have made Australia home and continue to engage closely in the global community. The conference highlighted the unique leverage of diaspora communities in applying local knowledge and affiliation for significant impact. Held at the University of Melbourne, keynote speakers included Cindy Horst, Research Director and Research Professor, Peace Research Institute Oslo; Fadi Al-Dari, Co-founder and Country Director, Hand in Hand for Syria and Mingo Heiduk, Head of Unit of the Diaspora Global Programme, Danish Refugee Council. Bringing together delegates from diaspora community organisations, academia, NGOs, government and more, this event focused on the ways in which diasporas support peace, reconciliation, humanitarian action and development goals in multiple contexts, including their countries of origin, sites of displacement and third countries. More specifically the conference explored mechanisms and strategies for action and collaboration, the ultimate aim of the conference was to enhance understandings of diaspora engagement in order to improve and innovate responses into the future. View conference keynote speakers’ presentation videos here. Read the 2018 conference outcomes report here. Building on the understanding that diaspora groups have enormous potential to make significant contributions to humanitarian aid and development in their country of origins, the DLN facilitated three seminars to look at how best to support diaspora contributions to aid and development. Diaspora communities in Australia contribute to positive change in their countries of origin. Diaspora organisations, Government and non-Government actors joined in discussions revolving around the unique diaspora contributions to peacebuilding and reconciliation, the challenges that need to be addressed and how diaspora engagement in peacebuilding and reconciliation can best be supported. This seminar aimed to increase understanding in the different dimensions of diaspora engagement including both financial and social remittances and the unique ways in which diaspora responses can help to alleviate need during times of disaster and other crises. It also looked at the challenges that needed to be addressed to open more space for increased contributions. Read the Seminar 2 Outcomes Report here. Exploring the role of diasporas in economic development, this seminar looked beyond the typical focus on remittances and sought to identify the ways in which diasporas can be critically important to the economic development of both their homeland and host countries specifically in the domains of trade, investment, skills and technology transfers. Read the Seminar 3 Outcomes Report here. White Paper consultation. In response to the Australian Government’s public consultation process and call for submission papers DLN submitted a Foreign Policy White Paper to the Department of Foreign Affairs. The government took up many key points, drawing on DLNs deep and intimate knowledge. It is the first comprehensive White Paper on Australia’s international engagement in 14 years. The Foreign Policy White Paper was launched by the Prime Minister of Australia and the Ministers for Foreign Affairs and Trade, Tourism and Investment on the 23 November 2017. View our submission to the Department of Foreign Affairs Foreign Policy White Paper here. The inaugural Diaspora in Action conference and impetus for the creation of DLN attracted diaspora community leaders, policy makers and representatives of major international NGOs. The conference looked at how Australia’s past and present immigration policies have led to a dynamic and powerful multicultural society which is working to solve some of the world most pressing problems. Held at the University of Melbourne, keynote speakers included HE Abel Gutteres, Ambassador of Timor-Leste to Australia; Finau Limuloa, International Federation of the Red Cross and Red Crescent Societies and Laurent de Boeck, International Organisation for Migration. 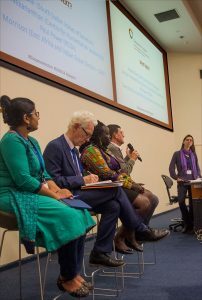 The conference explored the unique and significant value which migrant and refugee communities, both new and old, bring to formal and informal efforts of peacebuilding, human development and humanitarian action in their home countries. With diaspora communities frequently having migrated as a result of experiences of war, poverty or political unrest, there remains powerful ties to family and community, particularly in the developing world. Read outcomes report for 2016 conference here. The DLN continues to build its membership base. To join the DLN is free. Members will be able to learn more about DLN work and activities; can get involved in consultations with diasporas organisations, NGOs, academics and the government, and will have the opportunity to grow their network. To become a member, you can choose to register as an individual or as a representative of your organisation, company, institution. To register as an Individual, please click here. To register as an Organisation / Company / institution, please click here. The current and founding members of the Diaspora Learning Network are: Diaspora Action Australia, Melbourne Refugee Studies Program (University of Melbourne), Australian Red Cross, Refugee Council of Australia, Australian Council for International Development, Oxfam Australia and Research for Development Impact Network.